If your child has been denied their Free and Appropriate Public Education (FAPE) you may be entitled to certain remedies. The remedies for the denial of your child’s education is not the same as the remedies in a standard civil case. There is no recovery of money damages for the school’s failure to provide your child an appropriate education. This is because the focus is on ensuring education, and not compensating a harm. The damages you can recover fall into three categories: reimbursement for tuition; compensatory education; and attorney’s fees. While you cannot recover money damages for a violation of your child’s FAPE you can recover money in the form of Attorney’s Fees. The Federal Individuals with Disabilities Education Act states that a parent can recover the reasonable attorney’s fees from due process if it resolves in their favor. While this is not a reason to file due process and to pursue a remedy for your child it does have the benefit of softening the blow of following up on a violation. If your case is strong, and you reasonably believe that you could win at due process, then money spent for the representation has the potential to be zeroed out in the end. Reimbursement for tuition is the other award for a violation of FAPE that involves receiving money. Reimbursement for tuition is exactly how it sounds, the Court orders the public school to pay you back for the money you have privately spent on tuition for a private day school. In order to be able to receive reimbursement for tuition to a private day school certain steps need to be followed. You need to provide the public school at least ten days’ notice that you will be unilaterally placing your child in a private school. This must be done after the school has decided not to place your child in that school. There must be a strong argument that the placement you put them in is the proper placement and that the placements the school are suggesting will not be able to provide your child FAPE. Generally you will want to wait a full year after making this decision, and then if you file due process you can ask for the public school to reimburse you for the tuition you have paid, and possibly the future tuition. Waiting the year should provide the data and evidence to show that the private day school was an appropriate placement. The final and most common remedy is known as compensatory education. What compensatory education normally consists of is one on one tutoring but can take other forms. The Hearing Officer will calculate how much time the public school owes your child education based on their need and the time period that their FAPE was denied, and then they will order that many hours in compensatory education. This time will be used by the public school as implements services that are not included in your child’s IEP that will, in theory, make up for the loss of education time. One service which is often not in IEP’s that a public school can provide is one on one tutoring, which is part of the reason that is such a common form of compensatory education. Any and all compensatory education services that are provided are payed for by the public school. 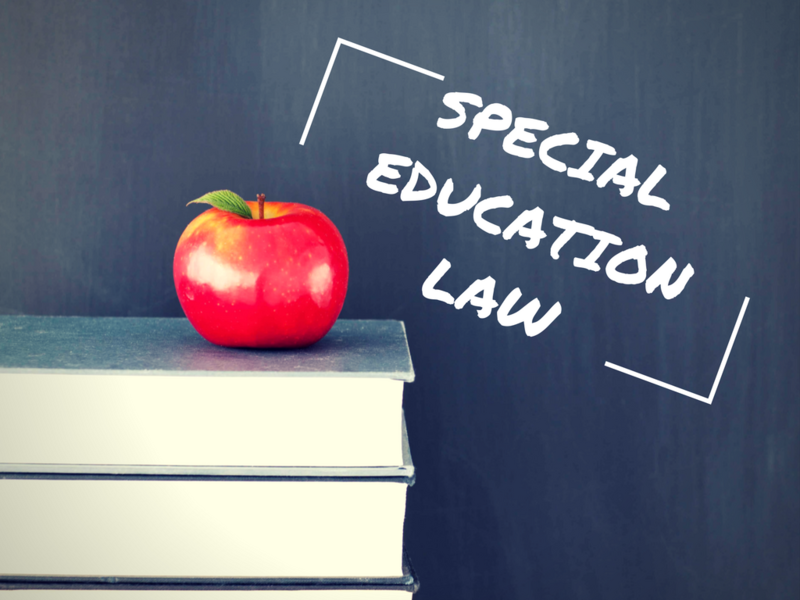 The goal of special education law is to ensure your child obtains an appropriate education. Therefore, the remedies that are available to a parent for when FAPE is denied all are in line with that goal. Given that any litigation, even special education litigation, can become expensive, the possibility of being awarded with attorney’s fees can help to make pursuing a course of action more reasonable. If you have any questions regarding special education or IEPs or would like someone to advocate for your child’s education, please contact us at 804-423-1382 or email us at info@wmmlegal.com to set up an initial consultation with one of our attorneys.